Our growing social and industrial history collections are rich and diverse. They span centuries, recognise times of change – through adversity and progression - and uncover the lives of the people of Hayle. Hayle dominated the world engineering market throughout the nineteenth century with its two rival foundries. 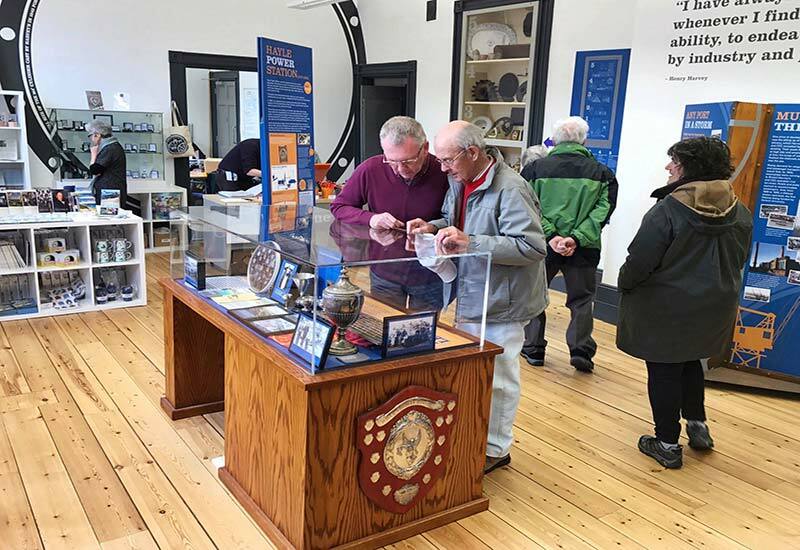 This legacy is preserved through an industrial history collection here at the Heritage Centre, which includes a display of our large objects outdoors. Other local industries are also reflected, with objects relating to Hayle Power Station, the Dynamite Works and J & F Pool. The wider social history collection includes objects which tell of town traditions, working life, leisure activities, Hayle during World War I and II, shipping, shopping and sport. Our large oral history collection offers a first-hand account of life in Hayle, as told by local people. We also have an archive of documents, maps, plans and photographs. This includes the Biggleston Collection, involved in an ongoing paper conservation project. We’re privileged to be located on the historic site of the foundry and engineering works, Harvey & Co. Outside of our object collections, Harvey’s Foundry Trust also cares for Grade II* listed John Harvey House, the company’s former office building and Drawing Office (now home to the Heritage Centre) as well as Plantation Store, Pattern Shop and Foundry Farm; all three listed as Grade II. Explore our collection highlights here. 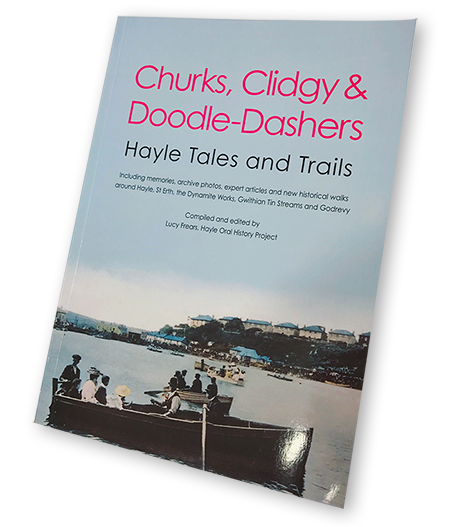 Buy 'Churks, Clidgy & Doodle-Dashers' online (click here), or here at the Heritage Centre.